CHARLOTTE, NC, January 29, 2019 /24-7PressRelease/ — Dan Mark, a lieutenant for the city of Aurora Police Department in Colorado, has attended countless conferences during the 34 years he has been a police officer, but says he is a big fan of the summits put on by Foundation Research Associates (FRA). That’s why he has agreed to co-chair the Public Safety Technology Summit, Feb. 27-28, at The Mayfair at Coconut Grove. “What FRA does and the way they focus the conferences and the information presented is extremely valuable,” says Mark, who will chair the Body-Worn Camera (BWC) Summit, alongside Major Christian P. Quinn, commander, Cyber & Forensics Bureau, Fairfax County Police Department, Virginia, who will chair the drone conference. 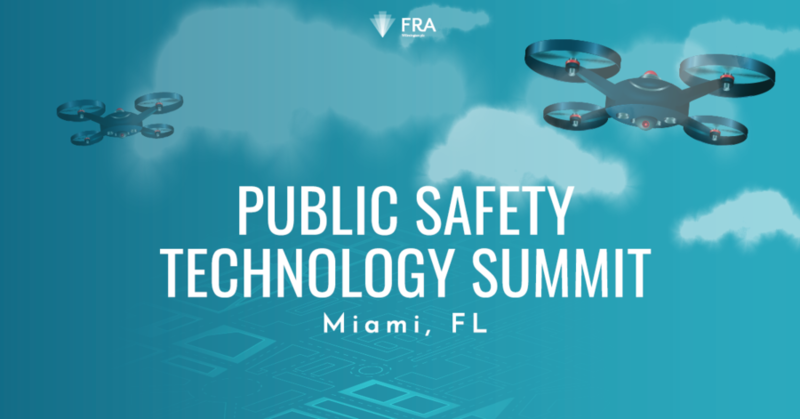 Quinn agrees, noting that even public safety departments that have robust programs can learn how others are handling emerging challenges that go beyond the hardware and software with unmanned aircraft systems (UAS) and counter drones. Christopher Todd, founder and president of Airborne Response, a media partner for the event, will discuss best practices for using UAS after a disaster. Todd’s session will focus on mapping an area prior to a disaster; using UAS for post-event damage assessment; reconstructing infrastructure using 3D imagery; and collaborating with FEMA for post-event relief. It’s not uncommon, he says, for people who have purchased drones to rush to a disaster zone to help. But without proper training, these individuals can become part of the problem, instead of the solution. “Operating the technology is the easy part,” Todd says. But, if you don’t have a place to charge the battery or you don’t have food, water or shelter, it will cause more problems. Mark’s session will focus on the current state of digital evidence and options to handle storage. Although many agencies would prefer to store it onsite, most body camera companies use cloud storage for digital evidence management. Law enforcement agencies can then upload video from body cameras to the cloud and then go online and download the video when they need to access it. FRA is the preferred resource for professionals seeking cutting-edge information on the next wave of business opportunities in the areas of finance, law enforcement, government, legal, and compliance. FRA produces more than 20 conferences annually, focused on sophisticated topics and ample networking opportunities for thousands of executives from mid- to senior-level and C-suite. Our team of subject matter experts is often first to market with emerging topics and we pride ourselves on consistently delivering on top-quality operations and logistics to produce a seamless event.